You are invited to Sustainable Tucson’s holiday party. 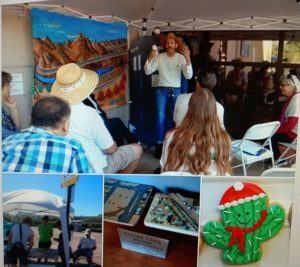 At this year’s holiday party, Sustainable Tucson will be celebrating by recreating a festival atmosphere with street fair activities. Creating Our Future: Draw the ways we can create a sustainable future for Tucson in 2038 on panels we will join together into a paper quilt. Community Tree: Add leaves with your ideas about what we can do as a community to make Tucson Sustainable in 2038. Time Capsule: Place your note to the future in our time capsule to be opened in a year: What are your hopes for Tucson or what will you make happen in Tucson in the coming year. 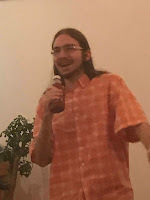 “Tales of Future” storytelling stage: Local Comedian Jeremy Segal will host impromptu stories about pursuing your vision for a sustainable future and other fun environmental stories.